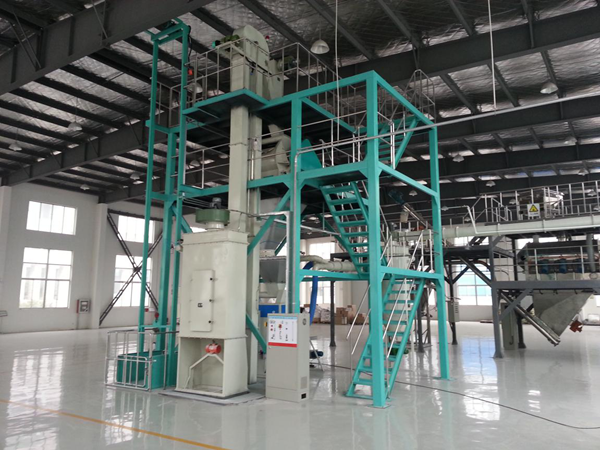 Five factors that affect mix quality - Wuxi Huamu machinery Co.,LTD. The pre-mix is often considered to be the key part of the compound feed. It plays a multi-functional key role in the mixing of compound feed. On the other hand, the composition is extremely complex, it has more variety, less quantity, and its physical chemistry is very different. Moreover, there are various problems in safety and stability, which greatly increase the complexity of production. How can we scientifically produce higher quality pre-mix? Pre-mixed formula must be designed and selected according to the principles of safety, high quality, high efficiency and low cost. This must adhere to the latest achievements in animal nutrition, feeding science, the local production development levels and conditions to design the grade of pre-mix and the content of the main ingredients. Determine the varieties, dosage and usage of pharmaceutical additives and certain sensitive components such as selenium and copper, based on the relevant regulations, local production levels and local conditions. The scientific formula needs to be achieved by precisely measuring ingredients. It is important to have advanced metering equipment and reasonable technology to ensure accurate ingredients adhering to the formula. The production of the pre-mix has high requirements for the accuracy and stability of various metering equipment. With compounds that can affect safety in small quantities, such as selenium, high copper and other additives, we need to very careful with measuring and dilution. In regards to the extremely fine size of the weights of vitamins and other components used, we need to avoid loss and quality problems caused by the absorption of wind, electrostatic adsorption, residue, etc. Choose a suitable mixer, have a function that ensures uniform mixing and prevents grading, minimizes the impact of falling, vibrations, uplift, wind, etc. In terms of management, it is important to correctly determine the mixing time and choose a suitable carrier and diluent, strictly control the fineness of the additives, specify the loading sequence, add oil and so on. All of these will help to mix and prevent the grading of the machine. The various components added according to the formula are often wet or damp in the pre-mix due to oxidation and this leads to loss. The extent of the loss is related to the composition, compatibility, storage conditions and storage period of the pre-mixed materials. It is generally said that in trace elements, the oxidation, sublimation and iron oxidation of iodine are more serious. Among the fat-soluble vitamins, especially vitamin A and vitamin C, this is the most serious, sulfuric acid ferrous sulfate, zinc sulfate, potassium iodide and choline have the most effect to the vitamins. Pre-mix plants must strictly choose the stable raw materials or the necessary pre-processing, pay attention to the compatibility restrictions amongst components and prevent them, select the appropriate carrier and diluent, add antioxidants, use the appropriate packaging, and so on. 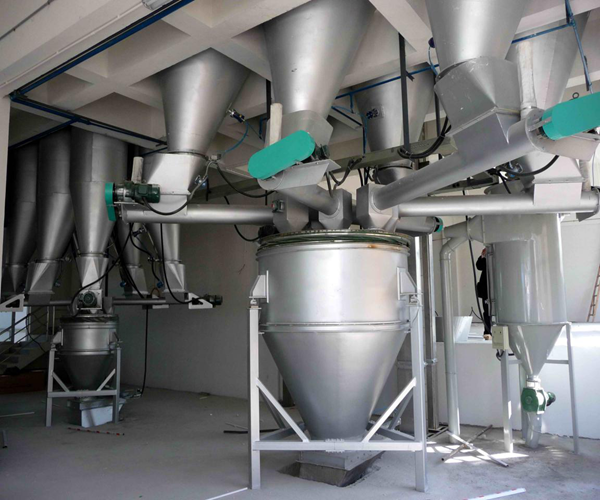 In order to facilitate the use and full operation of the function of pre-mix, the first step is to diversify and serialize varieties to meet the requirements of different users and levels and strengthen the compatibility with basic feed. 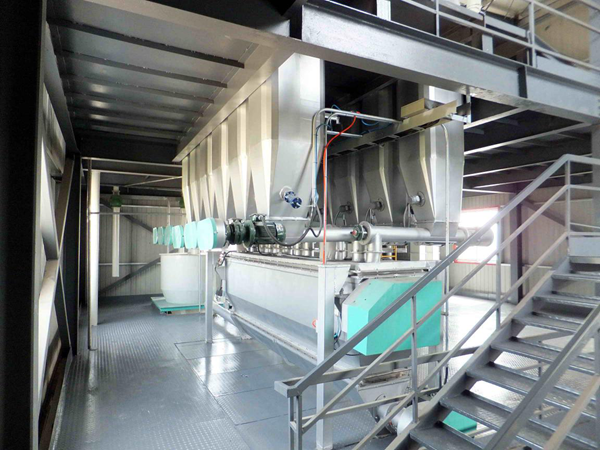 In the concentration and design of the packaging, it is important to fully consider the characteristics of the processing equipment and the management of the feed mill or the feeders, the specific requirements of the premixed materials, and to match the user's mixer with the metering equipment.